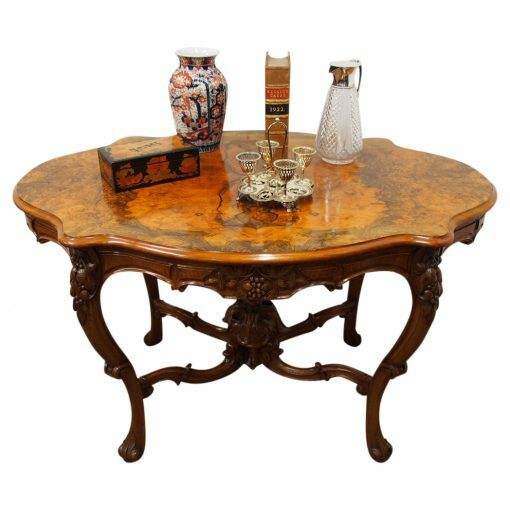 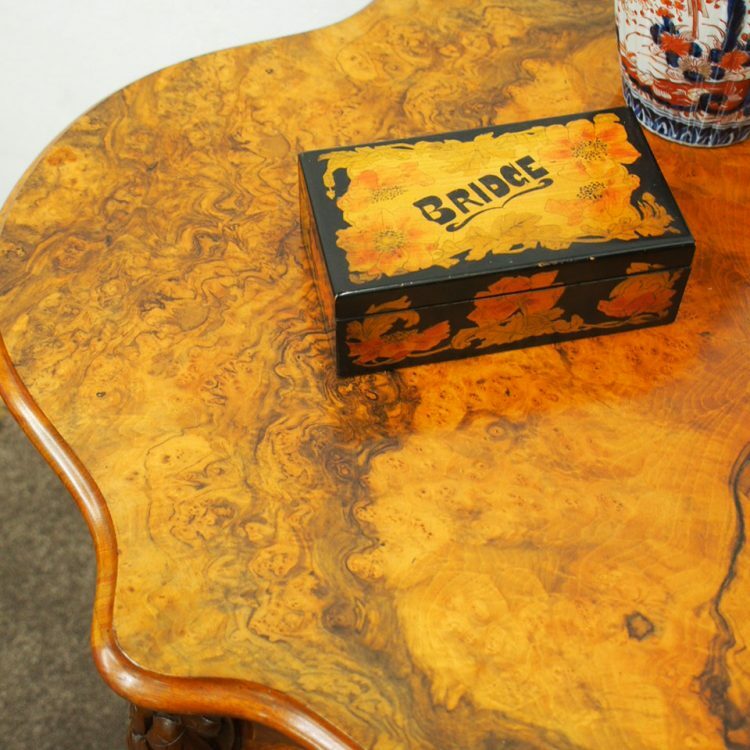 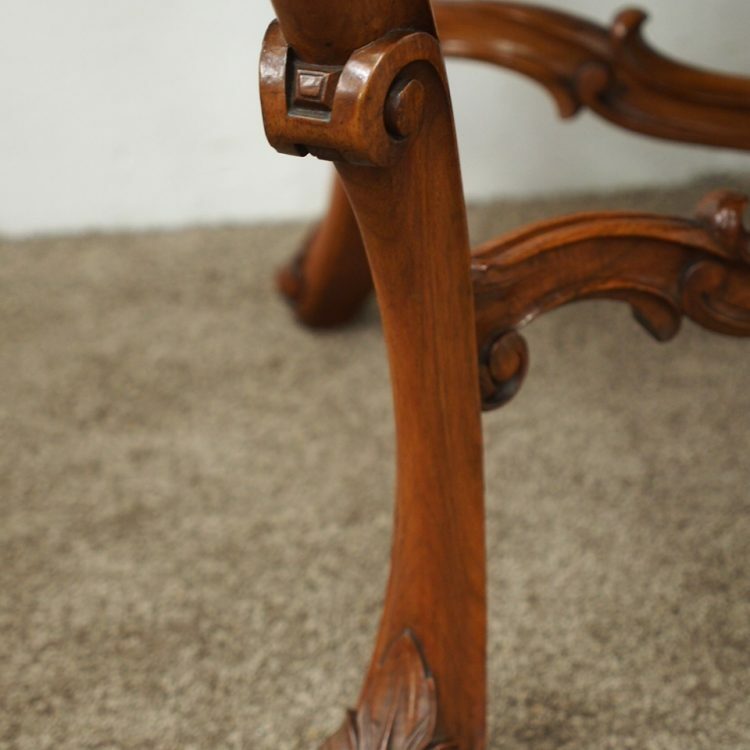 Circa 1860, mid-Victorian walnut and burr walnut freestanding centre table. 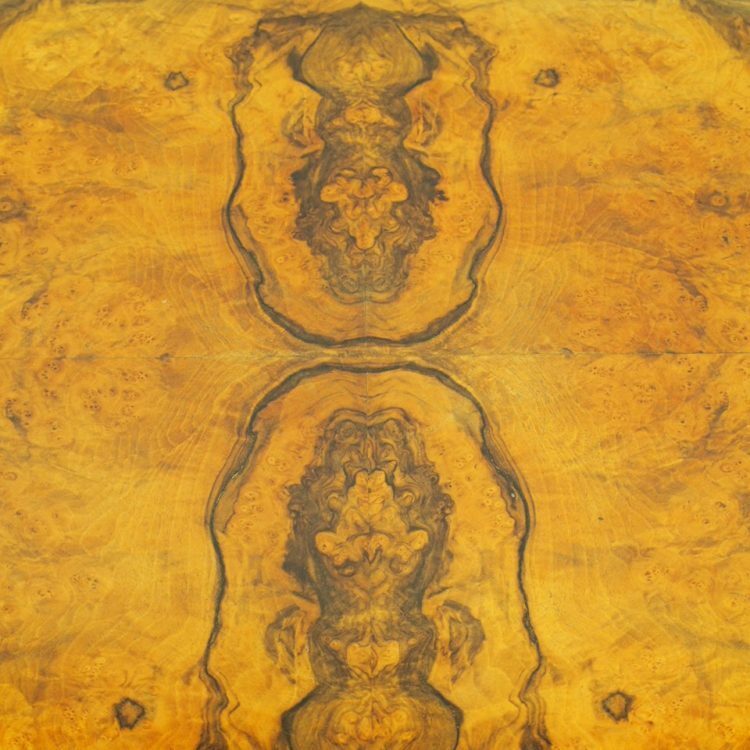 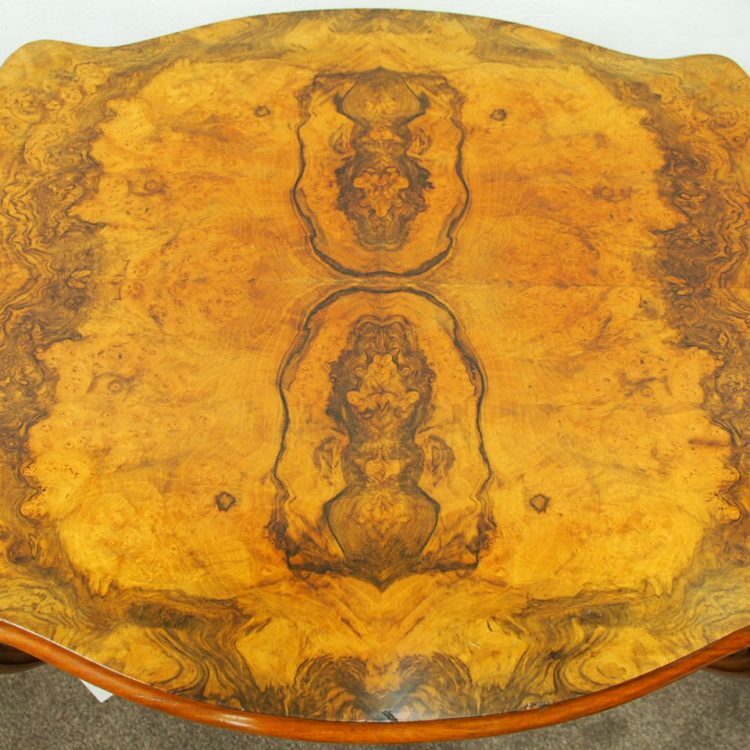 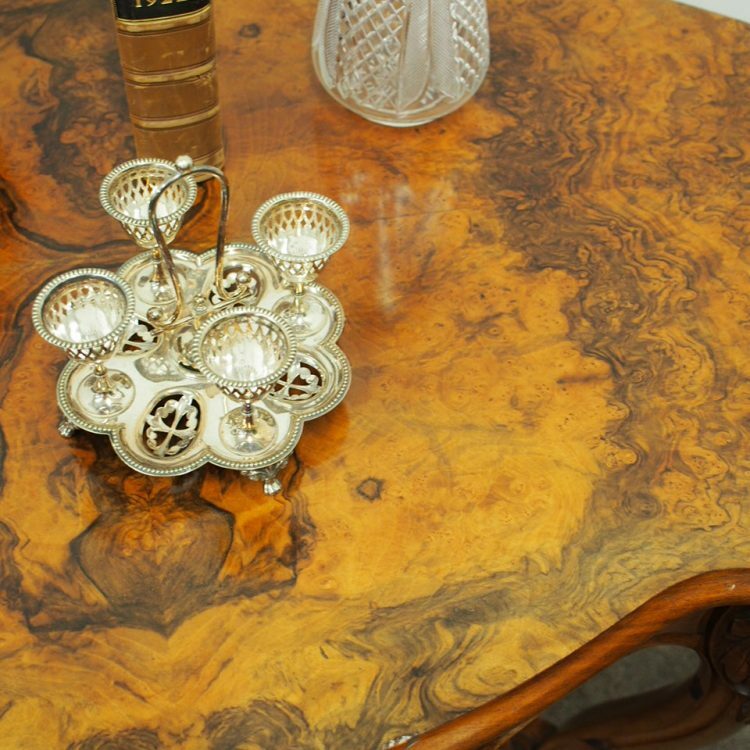 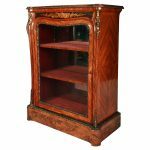 With butterfly shaped, quarter veneered top which varies from red walnut, grain walnut to burr walnut. 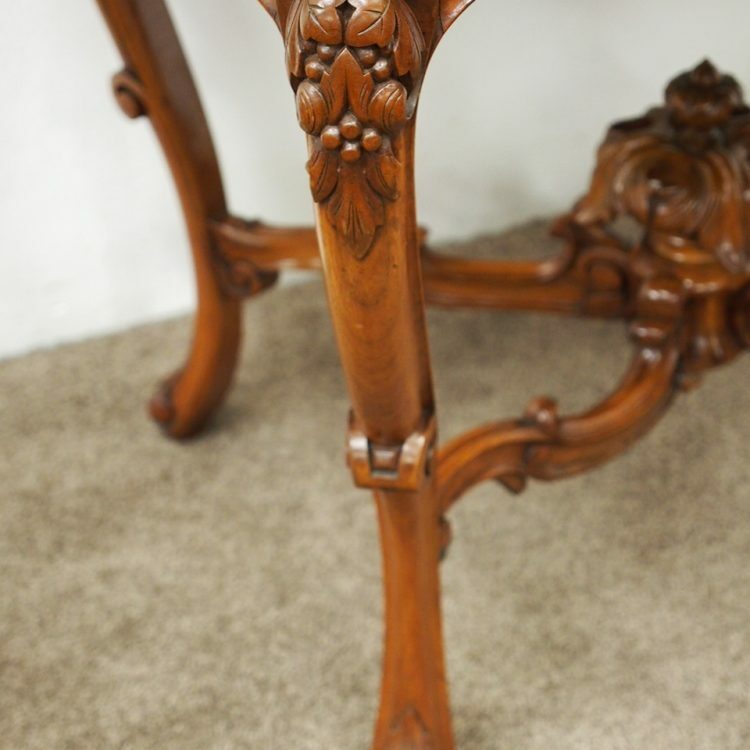 The table has a simple ogee moulding edge and beneath is a carved and shaped apron. 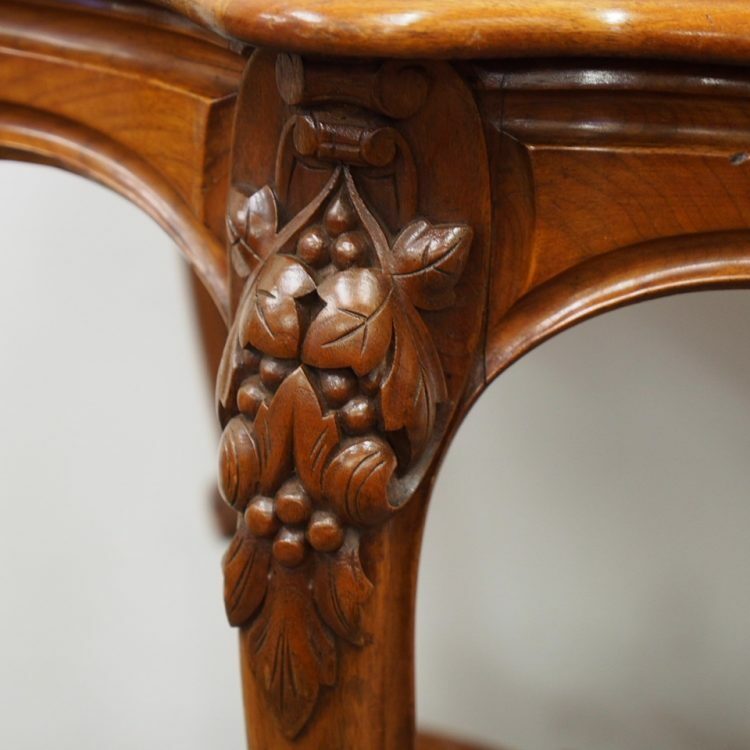 There is foliate carving with vine leaves and grapes on each of the long ends with a smaller version on the short end. 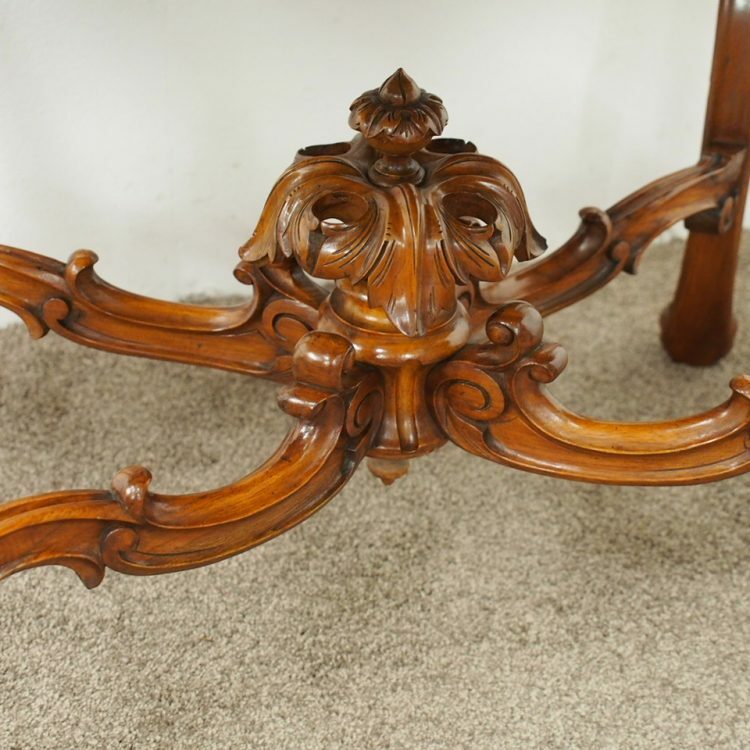 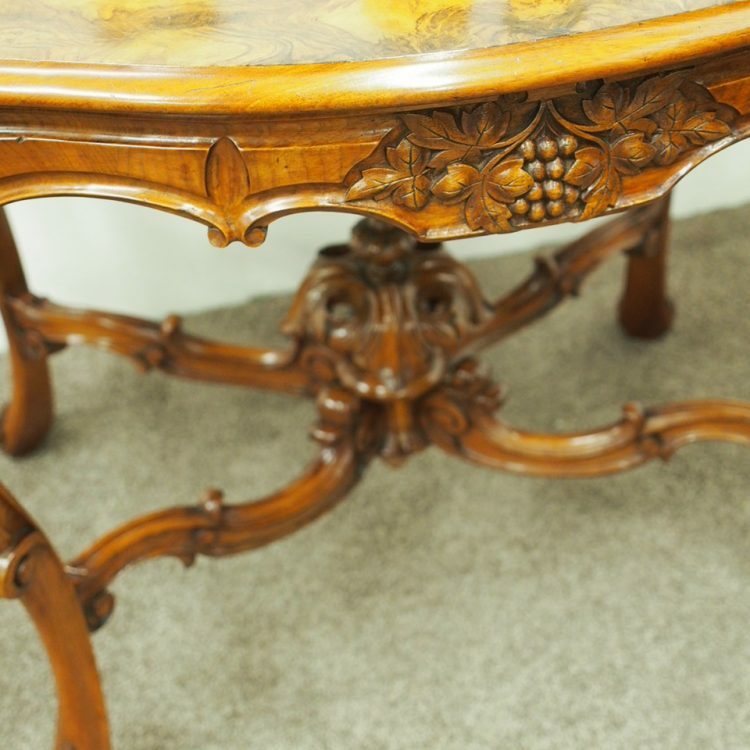 The table stands on 4 carved cabriole legs with c scrolling in the centre and carved fruit on the top. 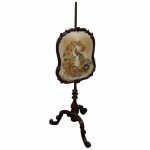 They are united by a cruciform Rococo stretcher with a carved urn in the centre.